Sr. 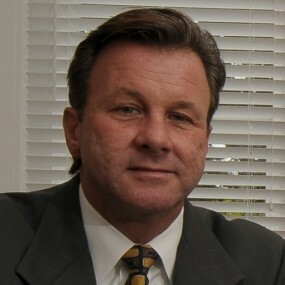 Managing Partner, CRE Rauch, Robertson & Co.
THOMAS J. ROBERTSON is Senior Managing Partner and co-founder of CRE Rauch, Robertson & Co. and CRE Florida Partners (“CRE”) with offices in Boca Raton, Pompano Beach, St. Lucie West and Stuart, and co-directs the operations and expansion of CRE throughout Florida. Mr. Robertson has over two decades of experience in Commercial Real Estate. As Senior Vice president at Jones Lang LaSalle (JLL), responsibilities included Jones Lang LaSalle’s South Florida and Palm Beach County brokerage offices including Martin and St. Lucie counties. Prior to joining JLL, Mr. Robertson was a Principle Managing Partner of the Lupo Real Estate Co. in Boca Raton Florida that was subsequently purchased by Coldwell Banker Commercial NRT, a subsidiary of Realogy Corporation. Prior to Coldwell Banker Commercial NRT purchasing his firm, Mr. Robertson was Director of Sales and Operations for Sprint Corporation’s South Florida cellular operations. Responsibilities included identifying real estate locations for retail stores, staffing, and training of over 60 employees. Also, identifying cell tower locations and site acquisitions, and hiring a professional sales staff of 25 to direct sales focused on government, national and small business accounts in Palm Beach and Broward Counties. Mr. Robertson’s corporate real estate expertise includes industrial, retail, office, land, multi-tenant investment, cellular tower site acquisitions, and life science medical initiatives. Some of the major projects Mr. Robertson has been involved in include the Florida Center for Innovation, a world class 150-acre 1.3 million SF master planned research park catering to scientific research, universities, and medical institutes including the Torrey Pines Institute for Molecular Studies, Oregon Health and Science University, Martin Memorial Hospital, and Mann Research Center. Mr. Robertson also represented the 211,000 SF, 15 acre medical and professional office campus known as Lake Whitney Professional Park in St. Lucie West, Florida. Throughout his career he has completed more than 500 real estate transactions in excess of $250M including 4,000,000 SF of office, industrial sales and leases in Broward, Palm Beach, Martin and St Lucie Counties. Mr. Robertson has a BA degree in Business Administration with a minor in Accounting from Florida Atlantic University, and he is a certified corporate trainer by Learning International. Mr. Robertson has earned a Florida Real Estate Broker’s license and is a candidate for the prestigious SIOR (Specialist, Industrial and Office Real Estate) designation. Mr. Robertson has vast experience in property sale and lease valuation, site acquisition, site disposition and corporate real estate consulting. Mr. Robertson remains dedicated to exceptional client service with strict attention to detail while providing a strong commitment to professionalism, integrity, trust and performance. Mr. Robertson volunteers his time at Pine Crest School Ft. Lauderdale, and the Andy Roddick foundation. He resides in Boca Raton Florida with his wife and three daughters.